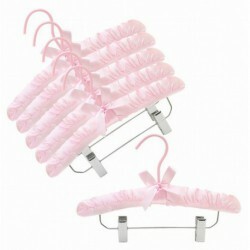 Childrens satin hangers feature soft foam padding covered in silky smooth satin fabric. 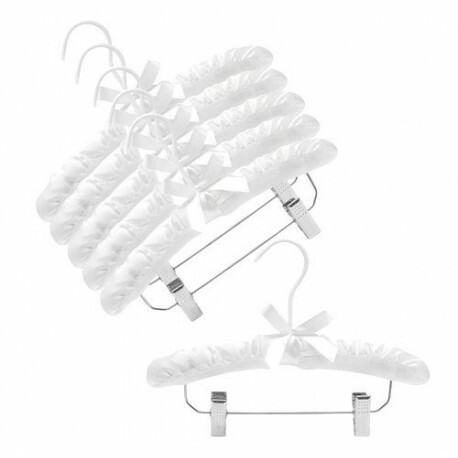 These hangers are an excellent choice for protecting childrens delicate garments from snags and tears. 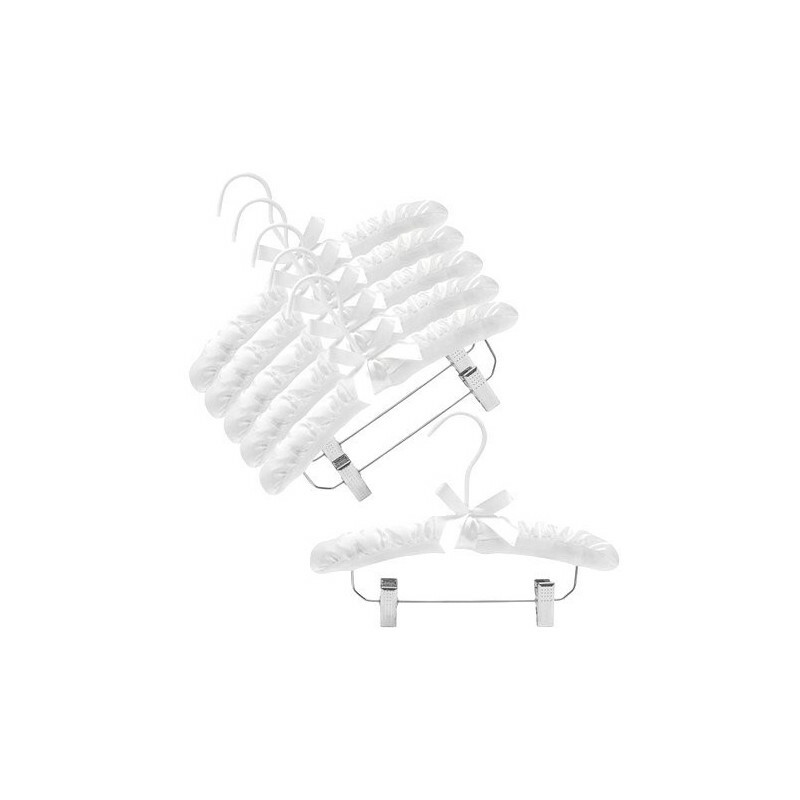 Adjustable polished chrome, non-staining clips are great for hanging pants, skirts and keeping outfits together.